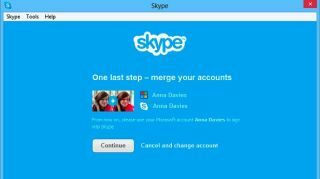 Skype turns 10: did Microsoft's bet pay off? Are Microsoft and Skype a match made in heaven? Skype's users like it a lot, and when the Microsoft deal was announced in 2011 they had three key concerns. One, that Microsoft would cut off support for non-Microsoft platforms; two, that Microsoft would shove it into every conceivable Microsoft product whether it fit or not; and three, that Microsoft would find some way to screw it up. They needn't have worried. Rather than absorb Skype into its Borg-like embrace, Microsoft decided to keep Skype as a separate division - and that perhaps prevented Skype from doubling down on Windows to the exclusion of all other platforms. In addition to Windows platforms there are clients for Macs and Linux, iOS, Android and BlackBerry, compatible home entertainment devices and phones and even the PlayStation Vita. Windows does appear to get the most attention, but other platforms are still being actively supported: the Mac client was updated in March and the Linux one in November, with the iOS app getting an update this month. Skype's user numbers have grown from 170 million at the time of the acquisition to 300 million earlier this year. Windows Live Messenger, which Skype was bought to replace, had dropped from a peak of 300 million to around 100 million in 2011. Did Microsoft pay too much? Skype's users spend 2 billion minutes per day on the service, and according to research from market analysts TeleGeography, Skype usage is equivalent to one-third of all the world's telephone traffic. That research was prior to Skype's replacement of Windows Live Messenger earlier this year, so those numbers should be considerably higher now. As for shoving it into Microsoft's own products, Skype was acquired to replace the aged and ailing Windows Live Messenger, and it's largely gone where you would expect: it connects with the Microsoft Lync enterprise messaging platform, is available in Outlook.com, is installed by default in Windows 8.1 and takes advantage of the Xbox One's Kinect camera - although you won't be able to Skype on the Xbox One unless you pay for an Xbox Live Gold account. The big question is whether Microsoft overpaid, and the answer is simple: of course it did. $8.5 billion - 32 times Skype's operating profit - was much, much more than Skype was worth, with Steve Ballmer betting that Skype's long-term growth would justify paying what most analysts agreed was four times Skype's value. The numbers are improving - the Skype division's revenues (not profits) are up to $2 billion compared to Skype's $800 million in 2011, although the newer numbers also include Lync - but it'll be a while before Microsoft gets its money back. However, the acquisition wasn't just about monetising Skype's users. Buying Skype was also a defensive move, designed to fend off competition from Google and Cisco in the enterprise markets, and to give Microsoft a key player in the mobile Voice over IP market - a market that's still very much in its infancy, and one where Microsoft has been taking baby steps. The long term vision is for Microsoft to be the hub of your voice and video communications, no matter what device you happen to be using, and Skype is a crucial part of that. Skype will become part of a new Applications Group alongside Office and Bing, and Skype president Tony Bates is off to take charge of developer relationships and evangelism. If Skype owes its current success to its arms-length relationship with Microsoft, then the One Microsoft policy could prove to be its undoing.